The Rwanda Development Board (RDB) in charge of tourism promotion and development activities in Rwanda, explained that Arsenal Football Club partnership is part of Rwanda’s long-term tourism development and conservation strategy that is grounded in Vision 2050 and EDPRS II. As part of this strategy Rwanda has upgraded its conference and hospitality infrastructure, transport networks, tourist attractions and conservation policies. Rwanda is today ranked third most popular destination in Africa for hosting international meetings and events by the ICCA (International Congress and Convention Association). Rwandair, the national carrier, now flies to 26 destinations globally. In addition, the Akagera National Park has been restocked with lions and Black Rhinos in order to make it a Big 5 park and the Volcanoes National Park has been expanded in order to create additional habitat for the endangered mountain gorilla. Today, tourism is Rwanda’s largest foreign exchange earner and has generated over 90,000 jobs so far. RDB says their national goal is to double tourism receipts from USD $404million to USD $ 800million by 2024. This ambitious goal is only possible by marketing Rwanda as a tourist destination in innovative ways. 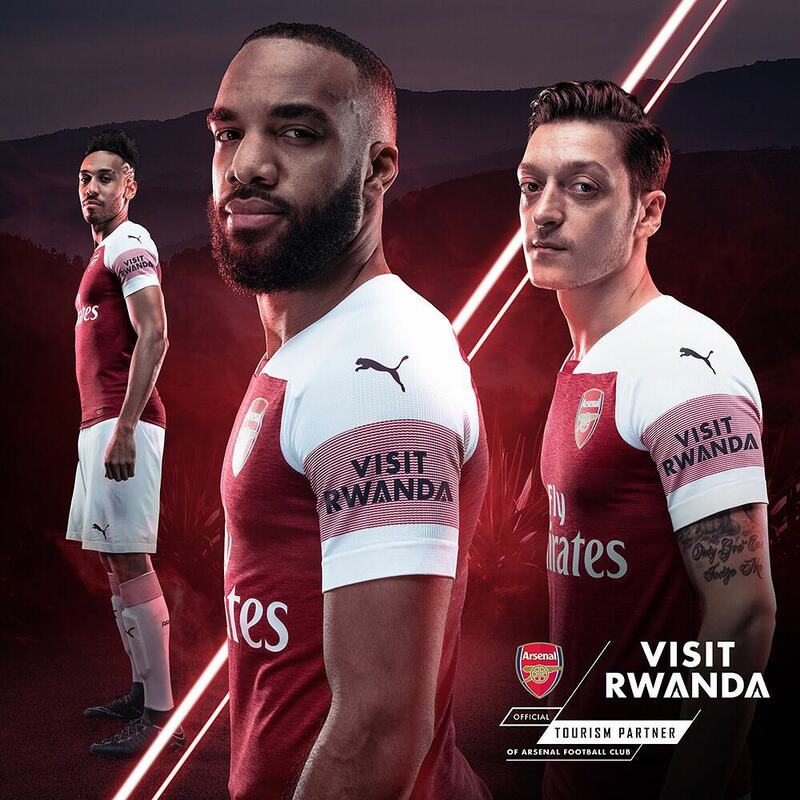 The Arsenal Football Club partnership is one of the many ways that Rwanda has chosen to position the destination into the hearts and minds of prospective visitors and as such part of our tourism receipts are ploughed back to support such marketing efforts. Tourism has played a major role in helping the local community. One of the major tourism initiatives was the Revenue Share Program. Initiated in 2005 by the Government of Rwanda, the Revenue Share program aims to guide investment in the areas surrounding the various national parks in Rwanda. Over $USD 1.28 million has been distributed by the Rwanda Development Board to more than 158 community-based projects. 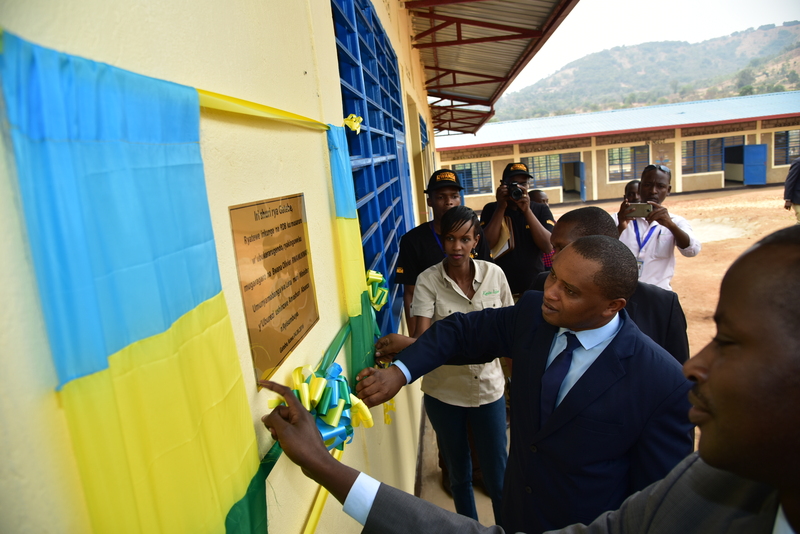 These projects have availed clean drinking water, health centers, classrooms and housing to members of the communities living around the three national parks; Akagera National Park, Nyungwe National Park and Volcanoes National Park.